Homestyle, Farm-to-table Eatery is one of the Best in Cabo. 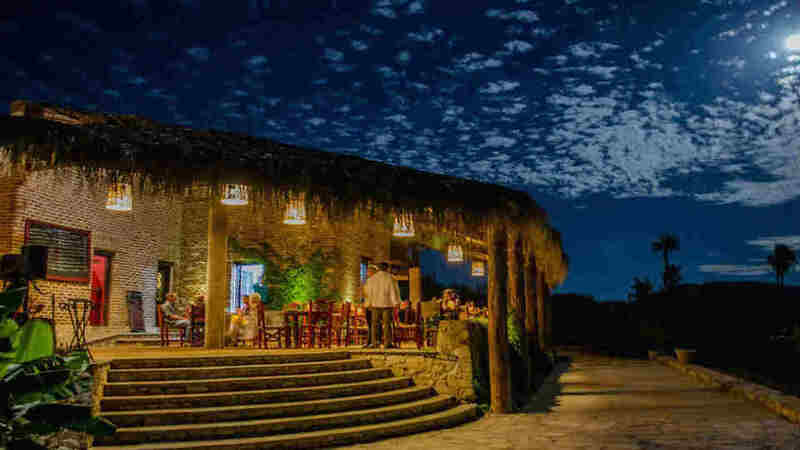 Los Tamarindos celebrates the farm-to-table movement in the most authentic way possible: the restaurant is located on the grounds of a 17-acre organic farm. The creativity of the menu, quality of the ingredients and charm of the location combine for an unforgettable fine dining experience. The restaurant is situated in an 1880s stone ranch house and the setting embraces a gorgeous and appetizing rustic aesthetic. The interior features unfinished wood surfaces, native artwork and simple and attractive settings. The open kitchen adds energy and excitement to the experience. The picturesque patio is draped in vines, the tables cozy beneath soft lighting that allows romantic views of starry skies. The menu is exclusively filled with fresh, micro-locally sourced meals. Begin with tasty appetizers: grilled octopus marinated in herb oil, shrimp jicama tacos and baked kumamoto oysters. Traditional dishes feature heavily, with an organic farm-to-table twist, including classics like pork shank with green mole, wood oven-baked game hen with achiote sauce and a thick shrimp ceviche. Fab Farm-to-Table Dining with Treehouse Hotel in Cabo.